This November, many activists from around the world took action against the militarisation of young people in their countries, cities and towns. This was part of a global action: the International Week of Action Against the Militarisation of Youth. 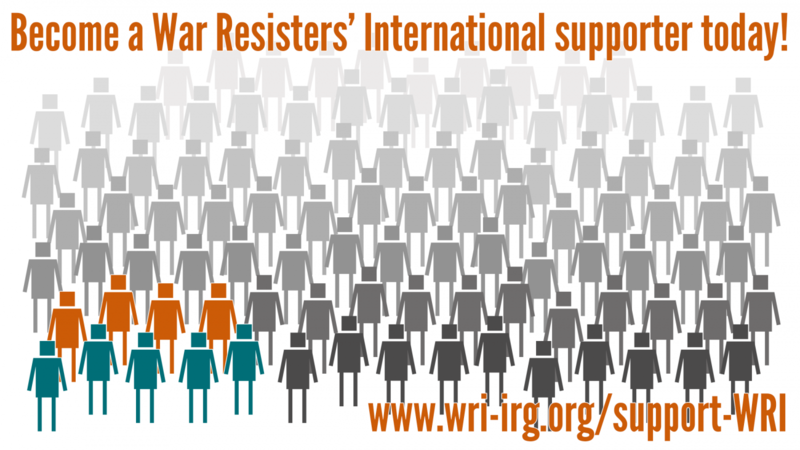 Initiated by War Resisters' International, the week was held for the 5th time this year. In Turkey Nonviolent Education and Research Association organised a public forum with young people on how to promote nonviolence among youth in the country. On a separate event, LGBTIQ+ activists in Istanbul organised a talk on the rights violations inside the military. In Czech Republic, NESEHNUTÍ organised a number of events, including movie screenings, workshops and a talk -joined by a young activist from German Peace Society (DFG-VK)- throughout the week. Find our more about their events here. In Colombia, ACOOC , Justapaz , Colectiva La TULPA and Articulación Antimilitarista organised a public forum on the experiences of conscientious objectors and how to promote conscientious objection among young people in the country. The event was marking the first anniversary of a new law regulating the practise of conscientious objection in Colombia. As part of the event, organisations have also launched a report evaluating the implementation of the law and its impacts on conscientious objectors. You can reach the report here. In the UK, a number of War School screenings -a documentary explaining the promotion of military and military values in schools across Britain- took place. There are still a number of screenings to take place, whose information you can find here. Women in Black activists in London organised a vigil and circulated a petition to the Prime Minister Theresa May, calling on the British Government to cease engagement of the armed forces with schools and education authorities. In Italy, Movimento Nonviolento activists organised an online action posting their protest messages against the militarisation of youth in Italy and elswhere with the hashtags #demilitarisedyouth, #weekofaction, #ildisarmoègiovane, and #smimetizzati. You can find a number of their posts here. In Greece, the feminist collective Το Μωβ (the Purple) activists organised a nonviolent street action (see here). In Finland, activists from AKL (the Union of Conscientious Objectors) organised actions in front of the military recruitment centre in Helsinki throughout the week and inform young people on conscientious objection. In Nepal, WRI activist and council member Subhash Kattel organised a number workshops throughout with young people. The week of action in 2019 will take place in November again. Its planning is in progress with the support of an international group of activists from different countries. If you'd like to take part in the week next year contact us via cmoy@wri-irg.org, follow us on social media.